Saturday afternoon - perfect for a stroll around Broadway, the area's main (some would say only real) shopping area. 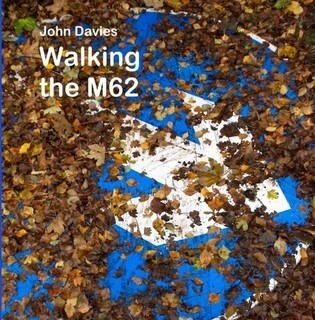 I'm doing a figure-eight, out along Broad Lane and back along Lorenzo Drive. It's fairly warm but blowy. Which has brought the children out: two little girls making games for the teddy which is as big as them, at the front of a house with the door wide open to the living room, and an older boy slumped alone at the base of a wind-blown tree, playing with his fingers. Further on a woman helps her grandson take his first wobbly journey on a bike with stabilisers. As the road sweeps upwards round the back of Norris Green Park it is obvious why this is called Broad Lane; but I'm wondering what makes it one of the most ancient roads in the district. Only when I return home to consult the 1908 map do I discover that this part of Broad Lane is not, in fact, the 'original'. In 1908 this stretch of road did not exist. Broad Lane ran along the front (west side) of what was then Norris Green House; it is now a continuation of Lorenzo Drive, my return route. This part of Broad Lane came in with the new estate in 1930. Some of it appears to be ready to wind up its history altogether. The nearer the centre of the figure-eight, the roundabout where my previous walk ended, the more empty houses there are and the more nature has begun to reclaim the land. This indicates the edge of the present-day City Council's failed experiment in the Boot Estate, well-documented elsewhere. Gaps between the houses to the right, all along here, show a wild green vastness where not long ago whole communities had been. Some hold on to the hope they will be there again: the adverts are up for new houses, though there's little sign of building work beginning as yet. The roundabout is overlooked by St Christopher's, where tomorrow I shall celebrate communion for the second time this week. The Children's Church: built with the help of over £3,000 raised by the youngsters of the twelve Rural Deaneries of Liverpool Diocese. On the Broad Lane side of the church bold red iron gates protect the lovely Children's courtyard between the sanctuary and the hall; if we had our way (which we might) this would be an open cafe area on future summers days like this. Sign by church hall: SLIMMING WORLD MONDAYS FROM 10 - 5.30PM. McCabe Chemists. Langbank Medical Centre - Dr M.N. Metha, Dr S. Muthu, Dr N.M. Patel, Dr A. Arain. A woman passes struggling with a wheelchair: "Ar ey Laurice, ang on, I can't push ya." 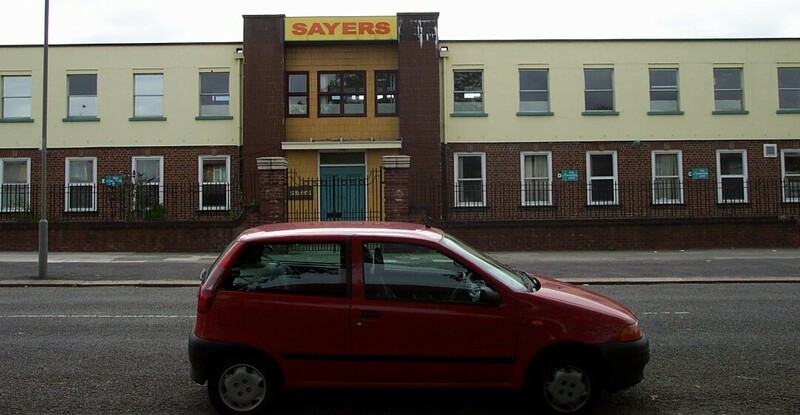 Just past the Private Day Nursery is the back entrance to Sayers, the Bakers, factory. My question about who round here can afford private childcare seems to be answered - I guess, those who work at Sayers. The Co-op is busy, and as Broadway approaches, as expected, things look up. The local economy is solvent, it seems. "Completed in 1929, two-storeyed, on a curve, and punctuated with gables. Poor detail of the shopping canopy" (Pevsner), Broadway's fifty-or-so establishments seem to be dominated by bookies , florists, card shops and chippies. Smell of vinegar, paper swirling around (recalling Bill Bryson's wry observation on alighting from Lime Street, "The citizens of Liverpool are holding a festival of litter.") But the main impression - people; all sorts and ages, alone and together, mostly at ease, mainly at leisure. 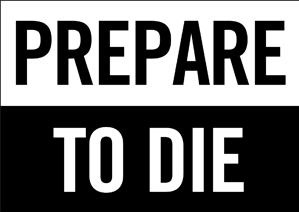 I stop to talk to a couple of parishioners, he, terminally ill, determined to take the afternoon air. And then to watch a car doing a terrible job of reversing into a rare parking space, to then discover that it is my neighbour, who is a long-distance lorry driver. Broadway feels good; I sneak down Back Broadway to take notes, where all is razor wire. 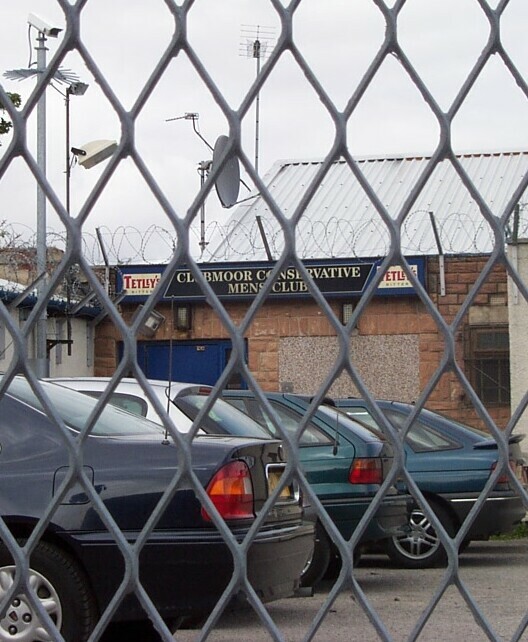 Clubmoor Conservative Mens Club hides behind strong wire here: TETLEY, intercom entrance, hardly welcoming. Out onto Utting Avenue East where the corporation builders in 1930 created a pleasant residential crescent and where today this is punctuated by a building site, for a Sure Start centre. Out of one front doorway spill four women, family, four generations chatting and laughing together. I turn right at the lights onto Lorenzo Drive. This is a famous Liverpool road, but it's not clear who Lorenzo was. In 1796, city father and slave trade abolitionist William Roscoe published his Life of Lorenzo de' Medici. Florentine statesman, sportsman, musician, patron of the arts, his contemporary Florentines called him Lorenzo the Magnificent (il Magnifico). However he was a failure at business. Unsuccessful banker and bad debtor - odd that it is on the road named for him (perhaps) that Norris Green's largest employers are based. 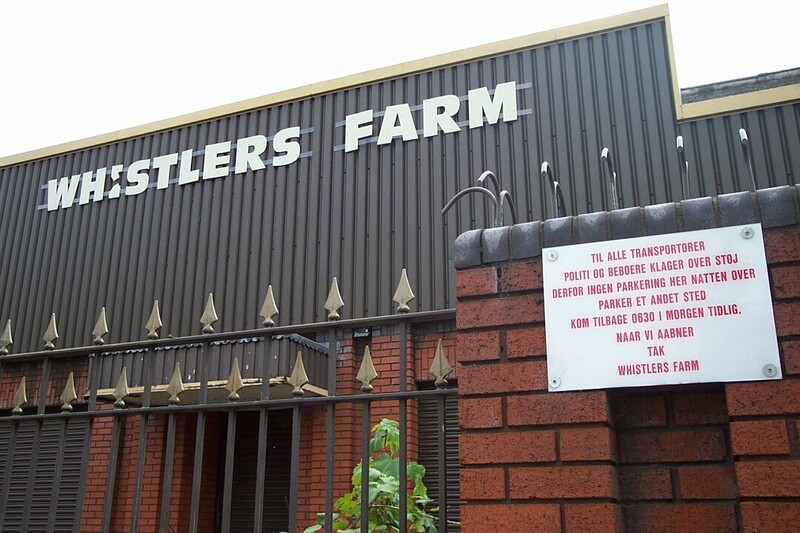 It turns out that Whistlers Farm (est. Dec 1998) moved to Lorenzo Drive in February 2000, a purpose built unit formerly owned by Clarks Quality Meats. They are meat wholesalers and number amongst their customers Weddal Swifts, Towers Thompson and - here we are - the Danish Bacon Company. Denmark being the world's biggest exporter of pork. Part of me mischievously connects their activities to the Territorial Army Centre at the far end of Lorenzo Drive, concerning the discredited military Exercise Danish Bacon where pigs were shot with high-velocity weapons to train NATO medics in messy field surgery. But more of me wants to connect them with Sayers, the famous Liverpool bakers, whose factory is next door. For, put their produce together and one of life's loveliest treats is formed: bacon butties. In the middle of Norris Green I am at the epicentre of Yum. The Lyndale Foods Group was formed in 1996, when Lyndale Foods Ltd was purchased from Warburtons Ltd. The Group now incorporates 252 retail outlets trading under a variety of names, including Sayers, Hampsons, Anne's, Fords, Burtons and Spinks, together with the Peter Hunt pie business. 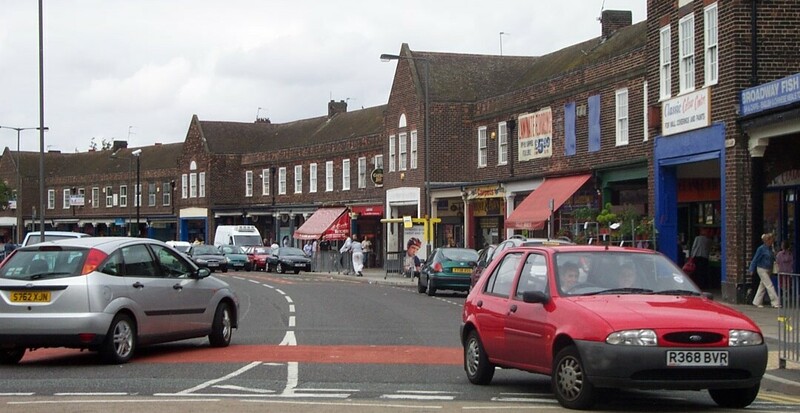 In 2001, Lyndale, which is based mainly in the North West, sold its Mountstevens bakery and 93 shops (all Mountstevens outlets) in the South West, in order to concentrate on its northern businesses. 50 of the company's shops have been rebranded with a bright new corporate image. In the 52-week period ending 30th September 2000, Lyndale Group Ltd (the parent company of Lyndale Foods Ltd) reported a turnover of £109.2m and a pre-tax loss of £3.1m. 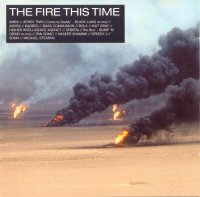 In the 10-week period ending 30th September 1999, the company returned a pre-tax profit of £66,000 on a turnover of £16.3m. Seems times are good in bakery business. I'm left wondering why such a successful company cannot think to 'rebrand' the flaky frontage of its flagship factory. Detour on the home stretch - avoiding the easterly Lorenzo Drive (1908's Broad Lane) I cut a course through Broad Square (which is named as it is shaped) from Circular Road West to Circular Road East (ditto). And on the playing field at the heart of Circular Road West, a municipal vision epitomised - the wonderful sight of a group of small children playing football between corporation-maintained goalposts, overlooked by their families' tidy homes. I sense this is a place of security for them. An urban planners dream realised. Rare and lovely to feel. Circular Road East encircles an adult playground - The Circular Road Bowling Club, surrounded by a tall hedge. Forbidding externally, inside its green and gardens are well-maintained. Surprising to see it all locked up on a summer's afternoon, nevertheless it is another well-intentioned municipal experiment which has survived well over seventy years. Broad Square School, on the other hand, is a sign of a different time. A new building looking like a pharmaceutical factory, with the school sign behind high metal fences displaying a public-private partnership: The City of Liverpool and Jarvis: The Headteacher (Mrs Spencer) and the Emergency Contact (Jarvis Helpdesk). I don't know the school so can't comment on how this partnership is going. But in the physical centre of this municipal dream the contrast is sharp. 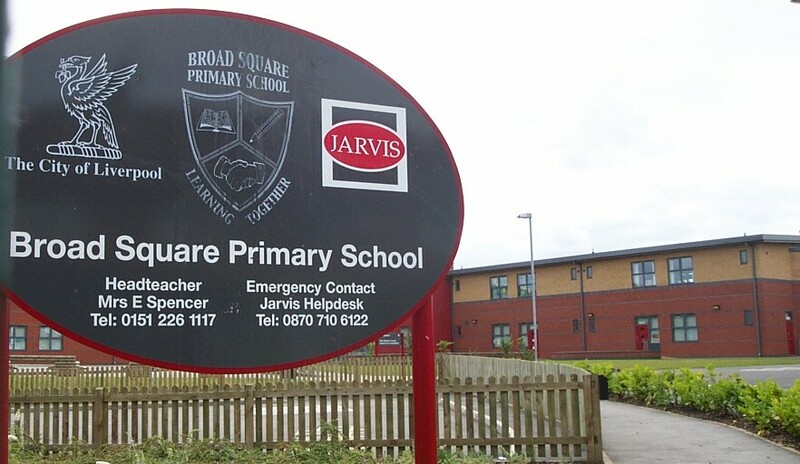 I return home to discover on my map that a straight line connects Broad Square School (education in thrall to capital) with Croxteth Hall (old money, absentee lairds) via the site of Norris Green House (built by Arthur Heywood in 1830 - slave trade banker family, now subsumed into Barclays). Before that, though, the walk's end. Where Circular Road East meets Lorenzo Drive a mum teases her little son about how far he's ridden his new trike today: "Fifty-four miles," he insists. And a young man helps his young lady into his vehicle; out together for the day in the works van.